George Washington said, "It would be peculiarly improper to omit, in this first official act, my fervent supplications to that Almighty Being who rules over the universe...."
John Adams spoke of: "a decent respect for Christianity among the best recommendations for the public service." Thomas Jefferson prayed to "that Infinite Power which rules the destinies of the universe." James Madison invoked the "guidance of that Almighty Being." James Monroe noted, "we can not fail, under the favor of a gracious Providence." John Quincy Adams quoted Scripture: "Except the Lord keep the city, the watchman waketh in Vain." Andrew Jackson referred to "the goodness of that Power whose providence mercifully protected our national infancy." Martin Van Buren looked to "the gracious protection of that Divine Being." William Henry Harrison warned of "the false Christs whose coming was foretold by the Savior." John Tyler invoked, "the protecting care of an everwatchful and overruling Providence." James K. Polk prayed, "I fervently invoke the aid of that Almighty Ruler of the Universe." Zachary Taylor gave thanks for "the goodness of Divine Providence." Millard Fillmore mentioned "Almighty God" when he announced the death of his predecessor. Franklin Pierce mentioned "the nation's humble, acknowledged dependence upon God"
James Buchanan declared, "I must humbly invoke the God of our fathers." Abraham Lincoln stated, "Intelligence, patriotism, Christianity, and a firm reliance on Him who has never yet forsaken this favored land, are still competent to adjust in the best way all our present difficulty." Andrew Johnson noted, "Duties have been mine; consequences are God's." Ulysses S. Grant, told us, "I ask the prayers of the nation to Almighty God." Rutherford B. Hayes said he was looking "for the guidance of that Divine Hand." James Garfield stated, "I reverently invoke the support and blessings of Almighty God." Chester Arthur spoke of "relying for aid on Divine Guidance." Grover Cleveland (in 1885) noted, "And let us not trust to human effort alone, but humbly acknowledge the power and goodness of Almighty God who presides over the destiny of nations." Benjamin Harrison said, "we may reverently invoke and confidently extend the favor and help of Almighty God." William McKinley declared, " Our faith teaches that there is no safer reliance than upon the God of our fathers." Theodore Roosevelt thanked "the Giver of Good who has blessed us." William Howard Taft mentioned our need for "the aid of the Almighty God." Woodrow Wilson spoke of "God helping me." Warren G. Harding referred to "God's intent in the making of this new-world Republic." John Calvin Coolidge (Reagan's model president) stated that "America seeks no empires built on blood and force....The legions which she sends forth are armed, not with the sword, but with the Cross." Herbert Hoover asked for "the help of Almighty God." Franklin D. Roosevelt "humbly" asked "blessing of God" and His guidance. Harry S. Truman referenced "that all men are created equal because they are created in the image of God." Dwight Eisenhower opened in prayer: "Almighty God, as we stand here at this moment..."
John F. Kennedy stated "here on earth, God's work truly must be our own." Lyndon B. Johnson referred to "the oath I have taken before you and God." Richard Nixon spoke of being "sustained by our confidence in the will of God." Gerald Ford said, "let us restore the Golden Rule to our political process, and let brotherly love purge our hearts of suspicion and of hate." 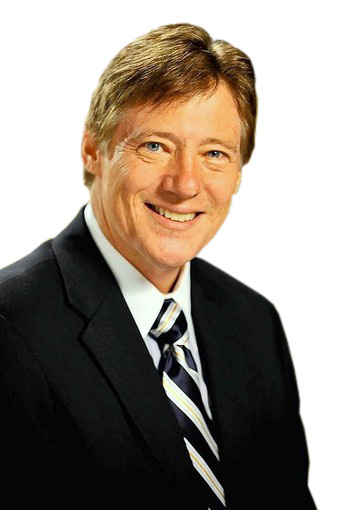 It is Jesus who gave us the Golden Rule (Matthew 7:12). 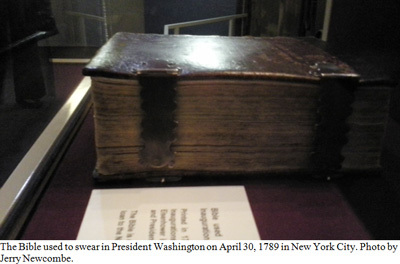 Jimmy Carter said, "Here before me is the Bible used in the inauguration of our first President in 1789." Ronald Reagan noted, "We are a nation under God, and I believe God intended for us to be free." George H. W. Bush stated, "And my first act as President is a prayer. I ask you to bow your heads: Heavenly Father..."
Bill Clinton quoted Scripture: "And let us not be weary in well-doing, for in due season, we shall reap, if we faint not." George W. Bush said, "God bless you, and God bless America." Barack Obama declared, "This is the source of our confidence – the knowledge that God calls on us to shape an uncertain destiny."